The members get to work rebuilding their guildhall. They have faith that Makarov will return one day but they need to choose a new master for the time being, electing Erza in the temporary position. 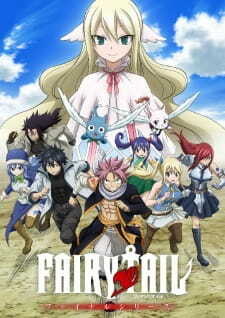 Suddenly, a familiar face appears and reveals many secrets about Fairy Tail's past, with Gajeel formulating his own agenda after overhearing the dilemma.